If you need rubber parts machined we are one of the most capable and affordable sources, and we can get the job done right. Rubber parts can be molded in a similar way to plastic parts. However the process is quite different. Normally rubber parts are compression molded whereby a chunk of rubber is heated and pressed between two halves of a mold. Rubber parts cover a wide range of uses: tires, pencil erasers, covers for receptacles in electronic devices, non-slip feet for enclosures, keyboard keys, noise reduction devices, weather stripping, grommets, seals, caps, gaskets, grips, rollers and diaphragms. Designing rubber parts is as easy as designing parts made of other materials. Keep the shape simple; avoid thick regions that may not cool readily and avoid tight tolerances. 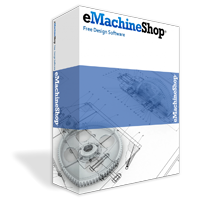 eMachineShop allows you to design custom rubber parts using: Waterjet Cutting and Compression Molding. Some of the common materials used for rubber parts include: Neoprene, Nitril, Silicon and Natural rubber.